READ THE STORY BEHIND THE NEW BBC/NETFLIX EPIC SERIES, TROY: FALL OF A CITY A stunning new translation of Homer's great war epic, the legendary tale of honour, love, loss and revenge during the fall of the city of Troy. High on Olympus, Zeus and the assembled deities look down on the world of men, to the city of Troy where a bitter and bloody war has dragged into its tenth year, and a quarrel rages between a legendary warrior and his commander. Greek ships decay, men languish, exhausted, and behind the walls of Troy a desperate people await the next turn of fate. This is the Iliad: an ancient story of enduring power; magnetic characters defined by stirring and momentous speeches; a panorama of human lives locked in a heroic struggle beneath a mischievous or indifferent heaven. Above all, this is a tale of the devastation, waste and pity of war. 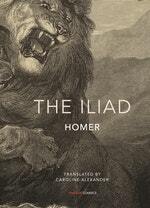 Caroline Alexander's virtuoso translation captures the rhythms and energy of Homer's original Greek while making the text as accessible as possible to a modern reader, accompanied by extensive extra material to provide a background to the poem. The result of 3,000 years of story-telling, Homer’s epic tale of the fall of Troy has resonated with every age and every human conflict: this is the Iliad at its most electrifying and vital. 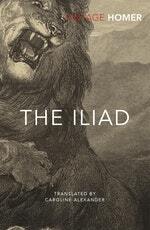 Love The Iliad? Subscribe to Read More to find out about similar books.